Forever a birthday girl, our mother Doris Elinor Hamilton Fader celebrated her 90th birthday on April 7 and died four days later at Pine Point Center in Scarborough, ME after complications from pneumonia. Her last party was one to be remembered – family and friends gathered to celebrate her milestone. Her only wish was to have “real” vanilla cake and ice cream, and that’s what she had. The room was full of love. Doris was born on April 7, 1929 in Cambridge, MA, the daughter of Howard and Martha (Henderson) Hamilton, and the sister of Muriel. She grew up and attended schools in Medford, MA, and later went to Lawrence Memorial College in Medford to become a nurse. She then met Robert Fader, whose parents summered on Drakes Island in Wells, ME. They were married on April 28, 1951 and moved to North Reading, MA to build their new home. After having their first daughter, Sherryl, they moved to Boxford, MA and had sons Steven and Jonathan. Bob’s job with Westinghouse took them to their next home in Winthrop, ME and it was there that their fourth child, Amy, was born. Doris lived in Winthrop, ME until 1993 and then moved to Drakes Island, ME to live in the family home. She enjoyed this “cottage” named “Rest Awhile” for 22 years until her shift to assisted living at Atria in Kennebunk, ME where she lived for the past four years and met many new friends. Doris considered Atria her home. Doris loved her family, and her cats, and working at the parking lot on Drakes Island. She loved politics, Broadway shows and musicals, traveling with her son, Jonathan, the Boston Red Sox, watching the snow fall, and ice cream. She was an avid volunteer, from Meals on Wheels to Winthrop Food Bank, Good Shepherd Food Bank, Rotary Club, Salvation Army, churches, nursing homes – Doris believed that others needed our help and she devoted a good part of her life to helping others. She made beautiful braided rugs and spent countless hours cutting wool and sorting colors to make such special gifts as well as outfitting her homes. She enjoyed spending time with her braiding friends while they worked on their creations. It’s probably fair to say that Doris’ greatest joy was her son Jonathan, who predeceased her in 2006, and his husband, Robert Perez. They traveled all over the world together and she spent many visits with them at their homes in San Francisco and Sonoma, California. She collected magnets and wrote in journals about their escapades. She was truly the happiest when she was with them and enjoying their love. One of her proudest accomplishments was when she drove across the country at approximately age 75 with her best friend, Joyce Pompeo. They mapped out their route and stayed at various motels along the way until they arrived in San Francisco to stay with Jon. It was a story to talk about for many years – they had a blast! Doris was predeceased by Jonathan in 2006; her sister, Muriel Hamilton Riley; her parents, Howard and Martha Hamilton; and her husband, Robert Fader in 1980. She took care of our father through three open heart surgeries, strokes and seizures while we were young. Doris endured each tragedy. She is survived by her daughters, Sherryl Franciose of South Portland, Maine, and Amy Levasseur (husband Kevin) of Harrison, Maine; son Steven Fader (wife Michelle) of Worcester, Massachusetts; son-in-law Robert Perez (Jonathan) of Sonoma, California; grandchildren Rachel Franciose, Kristin Fader, Andrew Fader, Zachary Levasseur, Danielle Levasseur, Ellie Edwards, Samuel Levasseur and Jakob Levasseur; niece Martha Riley Merrill; nephews David Riley, Tom Riley and Emmet Riley; island friends; Atria friends; and, cat Thumper. A celebration of life will be held on Sunday, April 28th at the Fader Family home on Drakes Island, 66 Grove Street, Wells, Maine from 1-4pm by Jon’s big October Glory Maple tree. There will be no visiting hours. In lieu of flowers, please feel free to donate to the charity of your choice in Doris’ name. Honor the life of Doris Elinor Fader (Hamilton) by planting a memorial tree. 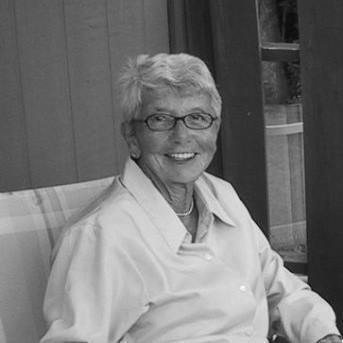 Provide comfort for the family of Doris Fader with a meaningful gesture of sympathy. The Family Interactive feature enhances Book Of Memories. Authorized family members can securely access their loved one's memorial website settings at any time.